This Friendsgiving I wanted to do a beautiful marble, grey, and silver tablescape, with subtle hints of black and white. My Husband and I recently switched up the decor in our home to grey and silver so this was the perfect time to compliment it. 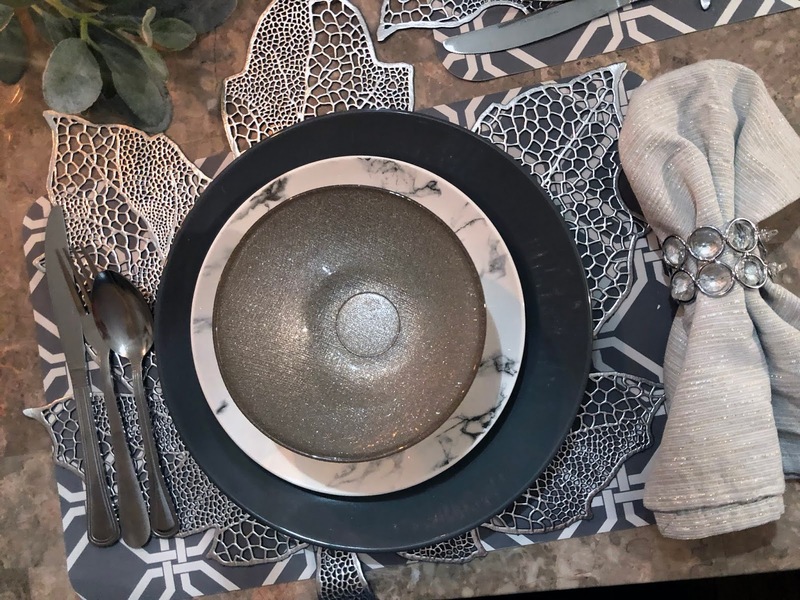 I'm obsessed with these marble plates and the leaf placemats, I also mixed and matched rose gold placemats with silver just to add a hint of warmth. 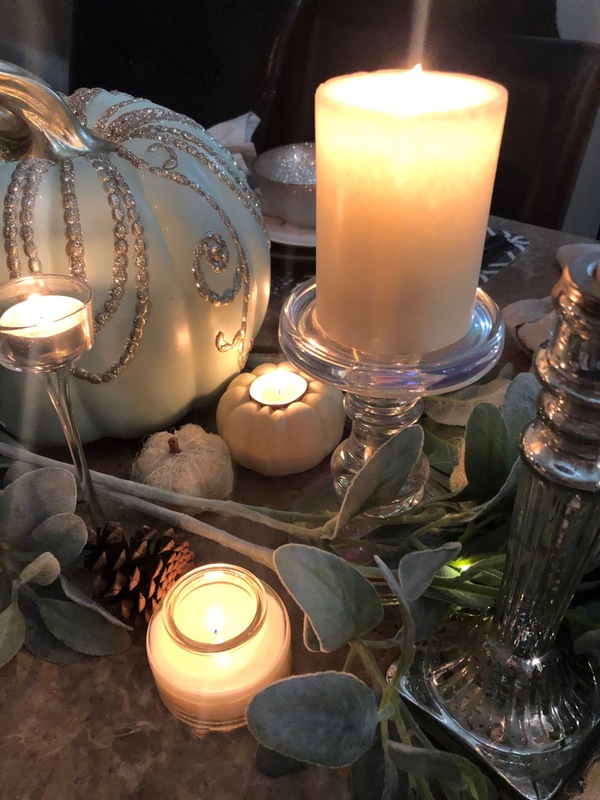 Sometimes you have to layer pieces to create the perfect chic yet interesting tablescape; especially when your color scheme is simple and monochromatic without that essential POP of color. 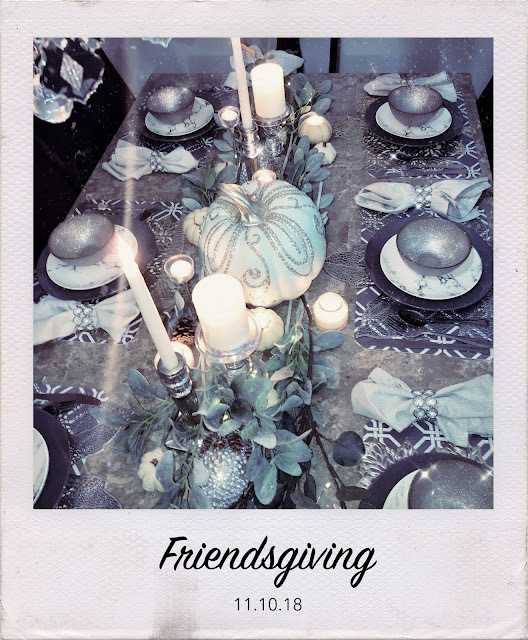 To create a more chic and aesthetically pleasing piece, add textures to make the table look more fun and festive. I love mixing textures that don’t seem to blend organically but in the end, make for a Pinterest perfect look! Keep reading to recreate it with these pieces below for your thanksgiving, or Christmas dinner! Dotted Grey Rice Bowl . White Ceramic Pumpkin . Metallic Striped Cream Cotton Blend Napkin .